This year in streaming was an exciting one! With so many developments, I want to share a bird’s eye view of streaming services in 2017. Streaming service providers were busy this year. 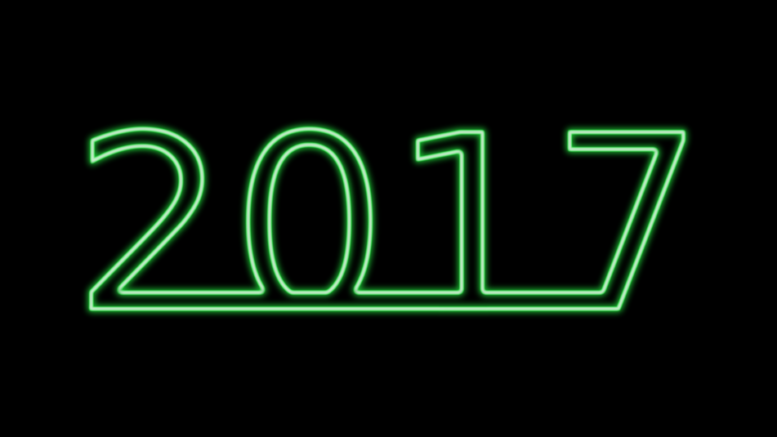 With each company determined to be the best, it made 2017 a year of improvement and innovation. Solid Signal has watched it all with an interested eye. We’ve also taken not of what worked, what didn’t, and what were the biggest trends. The year in streaming includes: local TV affiliates, original content, and technological improvements… or the lack thereof. All this made for an interesting year in streaming. These trends will help to guide streaming providers in 2018. Amazon Prime Video didn’t have many announcements this year. What we did hear from the streaming service provider was good. For example, its end-of-year announcement to stream some shows in HDR10+ was big news. This new standard is far superior to HDR10. It’s used with shows such as The Grand Tour, The Tick, and The Man in the High Castle. It’s expected to first rollout on Samsung smart TVs. Fans of Amazon Prime Video’s original content got some good news in April. The streaming service provider plans to spend $4.5 million for new streaming services. This is a bit less than Netflix’s $6 million budget. Amazon plans to acquire the rights to plenty of movies, TV shows, and live events. For example, it streamed 10 Thursday night National Football League games in 2017. Amazon will likely increase the number of live events in its catalog throughout the year. Editor’s Note: Mr. Buckler, never a fan of the walled garden, failed to point out the biggest news: Prime Video finally came to the Apple TV. Now, if Google Play came as well, imagine how cool that would be. AT&T ended 2017 announcing that DIRECTV NOW customers with Showtime will get Showtime Anytime. This provides on-demand access to Showtime original series, movies, and much more. This was slated for a September release. AT&T made the announcement on DIRECTVs one-year anniversary in mid-December. DIRECTV NOW has made many strides this year. The streaming provider is a leader in local TV affiliates. Do you enjoy programming from local ABC, CBS, Fox, MyNetworkTV, NBC, and The CW affiliates? It’s probably in DIRECTV NOW’s live TV app. It has nearly as many local TV affiliates as Hulu, which is the leader in this sector. Despite its improvements, DIRECTV NOW continues to face a rather big stumbling block. Its famed and fabled DVR function has yet to materialize. Streaming news sources continue to report announcements regarding the DVR feature’s development. For example, more users recently were invited to take part in AT&T’s never-ending beta test. This has been dragging out for quite some time, likely to the frustration of many DIRECTV NOW users. Picture-in-picture service that lets viewers enjoy their favorite programming while browsing the user interface. My Stuff lets users to add and remove TV shows, movies, etc. It also keeps track of the viewing history of everything stored and more. An expanded search function helps those who forget titles of movies, or who like to search by genre. Hulu offered an impressive showing this year. The streaming service currently leads the pack in acquiring local TV affiliates. As of this writing, Hulu has 3,000+ ABC, CBS, Fox, and NBC affiliates loaded into its live TV app. This makes Hulu a popular choice for streamers who like local TV news and network TV favorites. The green streaming service provider made some technological advancements in 2017. Hulu will get Alexa voice control on Amazon Echo and Fire TV devices. It also opened its Viewer Experience Headquarters in San Antonio, Texas this year. The browser experience only displays about 36 results for each category, even though Hulu has more. Hulu did nothing to alter its slow predictive search. Fortunately, AppleTV and some other boxes let you do a global search that includes Hulu. In short, Hulu viewers get the biggest selection of local TV affiliates, some cool features, and one very annoying app. The latter can and hopefully will be fixed in 2018… but we’re not making any promises. This year, Netflix became the king of original content. The second season of Stranger Things was the most talked about show on streaming. Netflix offered other hit movies and series including Dark, Godless, Mindhunter, and Ozark. Wheelman was a standout among Netflix movies in 2017. Netflix ended December strong with 34 original shows and series. Being the king of original content has its downside, though. Netflix spent big money to acquire content. Company execs are less forgiving toward series without huge viewership numbers. Take the ill-fated Gypsy, for example. Despite its appeal, Netflix cancelled the series after one season. If Netflix keeps doing this, it runs the risk of alienating otherwise loyal streamers. PlayStation Vue is an excellent streaming service if you enjoy local TV. It’s tied with DIRECTV NOW for the second highest number of live local TV affiliates. In other news, Sony announced in October that PlayStation Vue users can keep the MGM HD station. The streaming provider won’t get a dedicated Adult Swim channel, despite the listing in its guide. Adult Swim continues to be a part of the Cartoon Network. PlayStation Vue also offers on-demand Adult Swim content. CBS All Access: This streaming service from CBS offers two versions: CBS All Access for $5.99/month, and a commercial-free version for $9.99/month. The service provides access to CBS’s latest shows one day after airing on TV. All Access streams to devices such as: Roku players, Apple TV, Xbox One, Xbox 360, Chromecast, Amazon Fire TV, Amazon Fire Stick, etc. Users get exclusive streams of Star Trek Discovery series and the Good Wife spin-off. Comcast Instant TV Streaming Service: For $18/month, internet-only customers can subscribe to Comcast’s streaming service. The sports package costs an extra $30/month, and the entertainment package is another $15/month. If you want children’s channels such as Cartoon Network and Disney, you’ll pay an extra $10/month. Evolution Digital: The company’s eVue-NOW! cable streaming service helps small cable companies create live TV streaming services. It’s used with iOS, Roku, Apple TV, Android TV, and Android mobile devices. It’s expected to include DVR capabilities and more. No announcement has been made as to which cable company will be the first to get this system. Hallmark Streaming Services: Replacing Hallmark’s Feeln channel, this streaming service costs $5.99/month ($59.99/year). It’s available on iOS, Android, Roku, and Fire TV. It offers 800+ hours of family-friendly content that’s not available on current Hallmark channels. These streaming services represent a distasteful trend. These new providers hold content hostage and demand extra payment for its release. While I’m not a huge fan of Hallmark programs, I chafe at the idea of having to pay extra to stream it, should I want to. In some cases, this unique content isn’t worth the price. Just ask Stuart Sweet, a lifetime Star Trek fan. While he liked CBS All Access’s Star Trek Discovery, he didn’t enjoy paying extra to watch 42-minute episodes. Editor’s Note: And I didn’t like paying for a show I’ve watched my whole life for free, either. This year, YouTube TV announced that its apps are compatible with Android TV, Smart TVs, and Xbox One. This lets viewers enjoy YouTube TV on Android TV sources such as nVidia Shield and Xbox One devices. Will YouTube TV conquer the world of live streaming TV? The best streaming device for seniors?